Oceanlake Veterinary Clinic is proud to serve the Lincoln City OR area for everything pet related. Our veterinary clinic and animal hospital is run by Jennifer Malter, who is a licensed, experienced Lincoln City veterinarian. We are excited to announce the addition of an ultrasound to our practice! 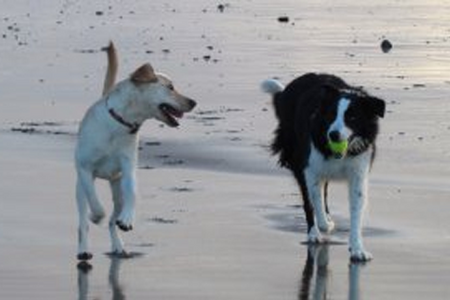 If you live in or are visiting Lincoln City or the surrounding area in OR, then you have picked the perfect site to find a veterinarian. Jennifer Malter is a licensed veterinarian, treating all types of pets and animals. Your pet's health and well being is very important to us and we will take every step to give your pet the best possible care. 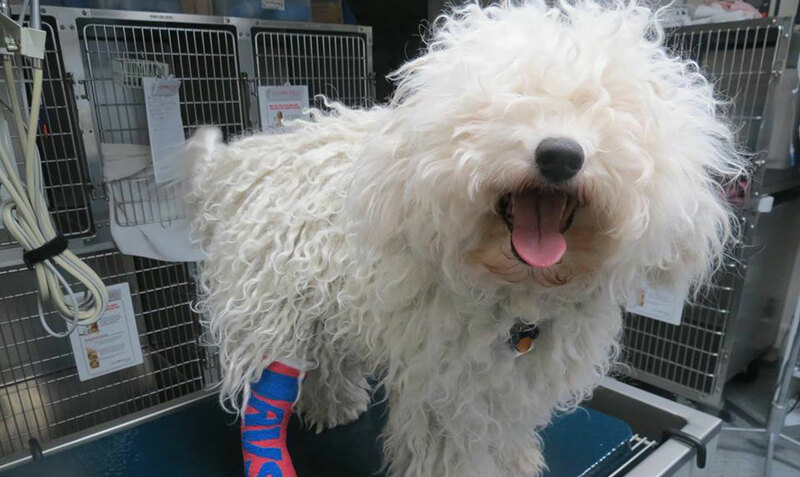 Oceanlake Veterinary Clinic is a full service animal clinic and will take both emergency cases as well as less urgent medical, surgical, and dental issues. Jennifer Malter is experienced in all types of conditions and treatments. Beyond first rate pet care, we make our clinic comfortable, kid-friendly, and a very calm environment so your pet can relax in the waiting room and look forward to meeting his or her own Lincoln City veterinarian. We have a number of resources for you to learn about how to take better care of your pets. Browse around and look at our articles and pet videos. The best veterinary care for animals is ongoing nutrition and problem prevention. If you want to ask a question call 541-994-2929 or email us and we'll promptly get back to you. Our Lincoln City veterinarian office is very easy to get to, and you can find directions on our Contact Us page. You can also subscribe to our newsletter (COMING SOON!) which is created especially for Lincoln City pet owners. In between your veterinary visits, your pet will benefit from you reading these free informative articles. At Oceanlake Veterinary Clinic, we treat your pets like the valued family members they are. Liz started working at Oceanlake Veterinary Clinic in June 2018. She is an outgoing, singsong, transplant from Southern California. She loves talking on the phone and going on evening walks. Her other pleasures are brushing her cats Bobbaduke and PepperJack and eating kale! She also enjoys tempting her kitties with too much cat nip and riding her bike. Liz is an avid cyclist who cares deeply about the planet and the animals who live here. Her ambition is to have her own sustainable farm of honeybees! Liz will always greet you with a smile, a song, or even a joke! Dr. Jen Malter is originally from Southern California and completed her undergraduate education at the University of California, Santa Barbara before moving north up the coast. She spent 12 years at her last practice, both as a licensed veterinary technician, and then as a doctor after graduating from Oregon State University with her Doctorate of Veterinary Medicine. She's a true Beavers fan and on any day you might find her wearing an OSU scrub! Dr. Kristen Corbett was born and raised in Louisville, Kentucky and attended Ross University School of Veterinary Medicine for her doctorate. 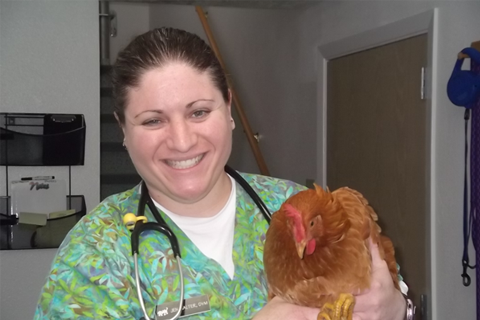 For the past 3 years, she has worked at a mixed animal clinic in Southern Indiana. Dentistry, surgery, ophthalmology, and preventative healthcare are a few of her special interests.Spending time with her dogs, cats, pig and goats, are what you will find her doing when she's not running, cycling, or working. Wanting to be closer to her family, her and her fiancé are relocating to Lincoln City and could not be more excited! She looks forward to meeting you and your furry companions. Kyla completed the Veterinary Assistant program at Linn Benton Community College before moving back to her hometown of Lincoln City in 2011. She grew up on a farm and has experience with a variety of animals such as llamas, chickens, horses, cats, and dogs. She has a Great Dane mix named Boone who has enough energy for 10 dogs. Kyla is currently working towards being a Certified Veterinary Technician through Penn Foster College. She assists in surgery and exam rooms. On her days off, Kyla enjoys going to the gym, working on home projects, and going on hikes with her dog. She loves meeting new people and animals that come into the clinic. Julie was born and raised in Lincoln City. She started working in a vet clinic when she was a freshman is high school. She then moved to Corvallis and then Portland; where she became certified and worked in emergency and critical care for the last 16 years. Finally she was able to move back home to Lincoln City to be closer to family and get out of the craziness that is the ICU. She loves living on the beach again and having weekends off. In her free time she likes to golf and is learning to can food from her gramma. 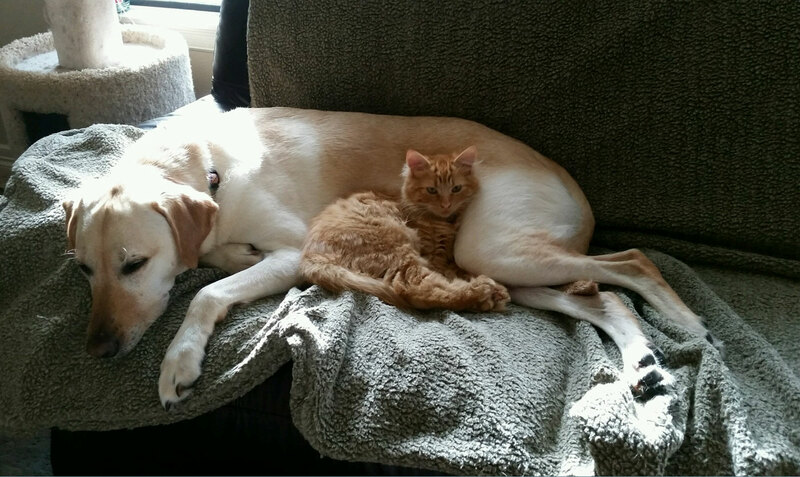 She also has a lab named Bentley and a tuxedo cat named Turtle (both are retired blood donors). Mary is a fifth generation Oregonian who was born and raised on a wheat ranch in Eastern Oregon. After graduating from Whitman College she attended Boise State University to obtain a second degree. She received her Master degree in Health and Human Performance from Fort Hays State University in Kansas. Mary was an Assistant Professor and Head Women's Basketball Coach at Linfield College before moving to the Division I level to coach basketball at University of Idaho, Radford University, and Oregon State University. Following retirement from coaching she was the bookkeeper for Corvallis Cat Care. Currently, Mary is the business manager for Oceanlake Veterinary Clinic. Mary also loves sports, the outdoors, wildlife, bird watching and traveling. Recent graduate from OregonState University studying Animal Sciences; Pre. Veterinary Medicinewith a minor in Chemisty, Kaitlyn moved to Lincoln City to gainfurther experience in the fascinating field of veterinary medicine!Kaitlyn’s dream is to study Veterinary Medicine at Oregon State tobecome a fully licensed Veterinarian - working on both large/smallanimals and poultry. The love Kaitlyn has for animals stands for aslong as she can remember, however, no one is without their favoritesand cats are defiantly quite pawsome(see spoiled cat in photo)!When Kaitlyn isn’t at the clinic, you can find her longboarding,creating crafty items, running in the rain, and cuddling her belovedkitty Zuko. 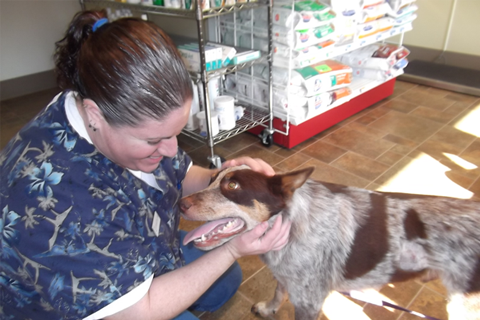 Janet started working at Oceanlake Veterinary Clinic in November of 2016. She also works weekends at Spirit Mountain Casino dealing poker. She has past experience in the veterinary field. Janet grew up on a farm in Toledo, and always had animals growing up. Her animals varied from an assortment of horses, goats, chickens, ducks, geese, rabbits, rats, ferrets and even a lamb and pot bellied pig once, and of course dogs and cats. 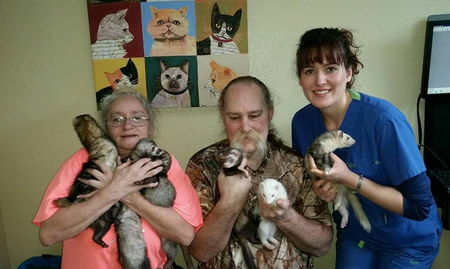 Pictured are both of her dogs, Karma and Destiny, and two of her four ferrets. Not pictured are her five cats, the other two ferrets and a horse she leases from Green Acres Barn. Janet says she loves working here with the great staff and wonderful clients, and hopes to continue her education to become a CVT. "Loving and caring staff. Everyone knows what they are talking about, best place for taking your animals." "All staff are wonderful they treat your babies as they were there own. Doc is so loving and caring, wouldn't let anyone else touch my babies other than these people. I have 8 ferrets,1 pit bull and just added a baby kitten. Love you guys." "We love Oceanlake Veterinary so much! They are not only caring, but knowledgeable and skilled as well. We are so thankful they are here!" 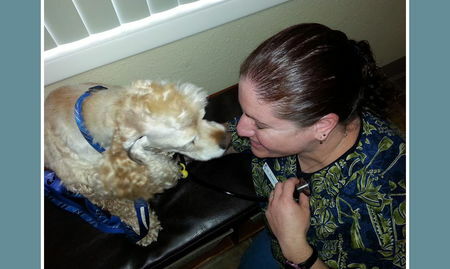 "I've had lots of pets over the years & have been to many vets. Oceanlake is by far the best Veterinary Clinic I have ever been to. Always smiling and the best care for your pet that you could ask for. Thank You." "They are great! They take the time to get to know the animals, and this results in a positive experience even for higher need animals." "I can't say enough good things about Dr. Jen and her staff. They are the best group of people out there. I would not ever think about bringing my babies to anyone else.....EVER. They are so loving and knowledgeable about animals. I am happy to be part of the pexy club now....love yall." "Great folks who really care about your pet and you. Sensitive and helpful all of the times we needed them. Thanks OLVC.."
"Ali, Bella and even grumpy old Reba actually love to visit. They are wonderful and treat the animals with care and they are always happy to see them. I would not want to ever have to take them anywhere else again.. Thank you ladies! !